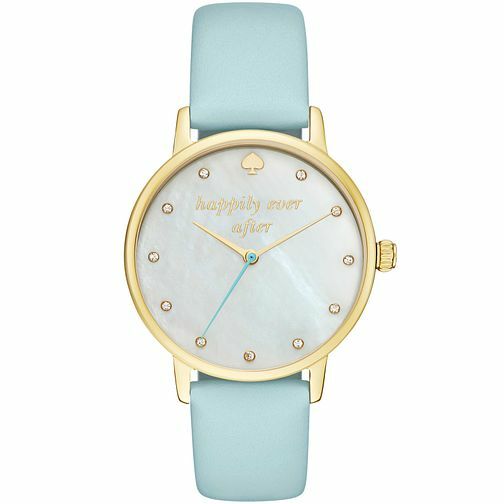 In a playful tribute to the happiest day of your life, this Kate Spade makes the perfect something blue wedding gift. It is crafted with Yellow Gold-tone steel with a white mother-of-pearl dial, with pave crystals, the spade logo and 'happily ever after' quote, complemented by a blue leather strap with buckle closure. It is powered by Quartz movement and is water resistant to 30 meters.